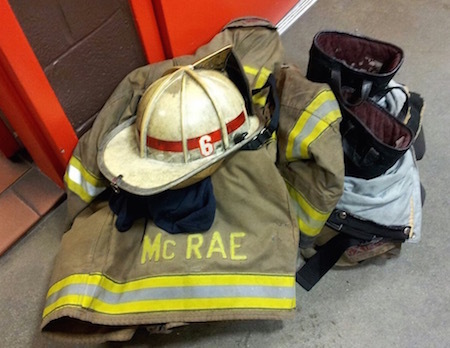 May 6th, 2015 – Local 36 regrets to inform the membership of the line-of-duty death of Lt. Kevin McCrae, 6 Engine No.4 Platoon, while operating at a 2nd Alarm apartment fire at 1330 7th St. NW this morning. Our heartfelt sympathies go to Kevin’s wife, and daughter, and to his fellow members of 6 Engine & Truck 4. We are greatly diminished with Kevin’s passing.